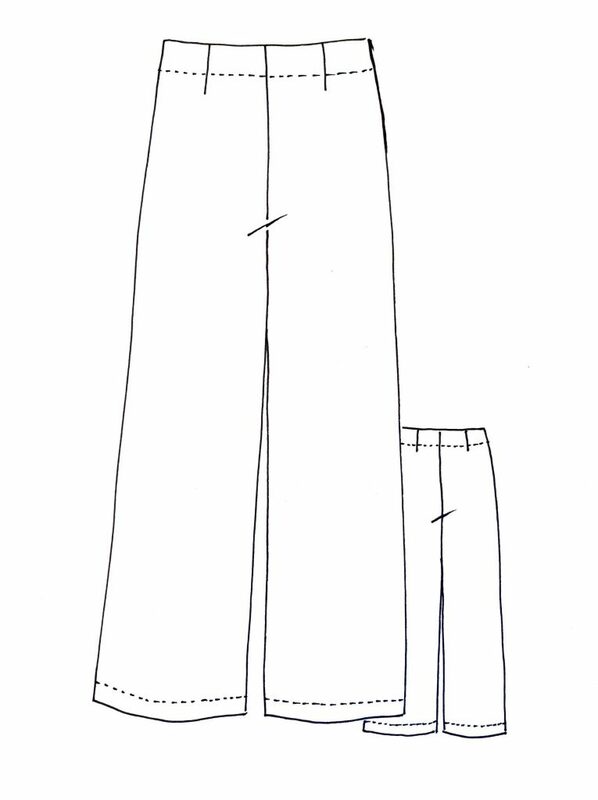 Meet our latest pattern – the Chiara Pants! 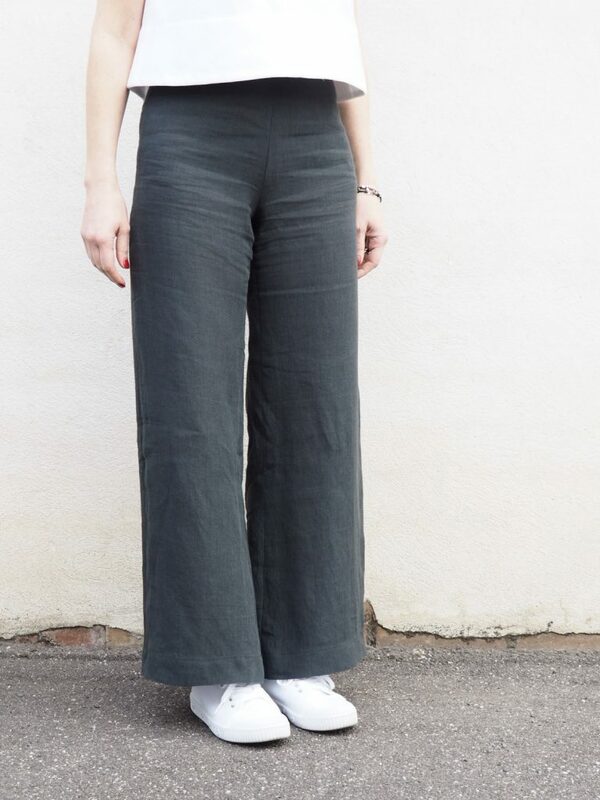 This wide leg pant has a flared hem, front and back darts and side invisible zipper opening. The waistline is finished with a stitched down facing. Depending on your fabric choice, Chiara works perfectly as a more casual wear, but she can look equally fabulous in a dressier style when made up in a silk or crepe. These pants have been designed to be a winning wardrobe staple. 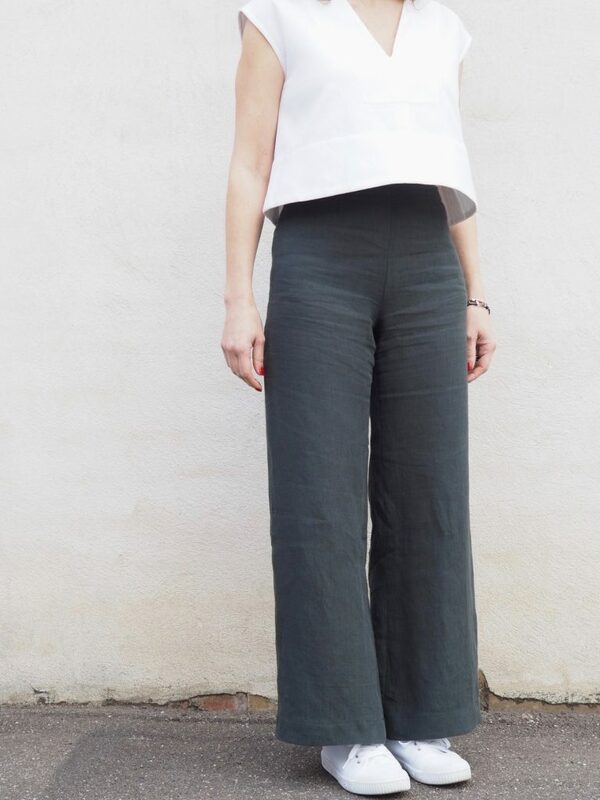 It’s a super simple style that works with most tops including summer tanks, t-shirts, shirts, jumpers and more cropped styles such as our Leni. Colette’s pair (above) are made up in our Midnight Washed Linen and mine (below) are in Hartford Licorice. If they look familiar, that’s because they probably are. Chiara is a new and improved version of our now discontinued Chloe Pants Pattern. Chloe, published back in 2012, was a straight leg design whilst Chiara has been given a 2018 style update with a slight flare. 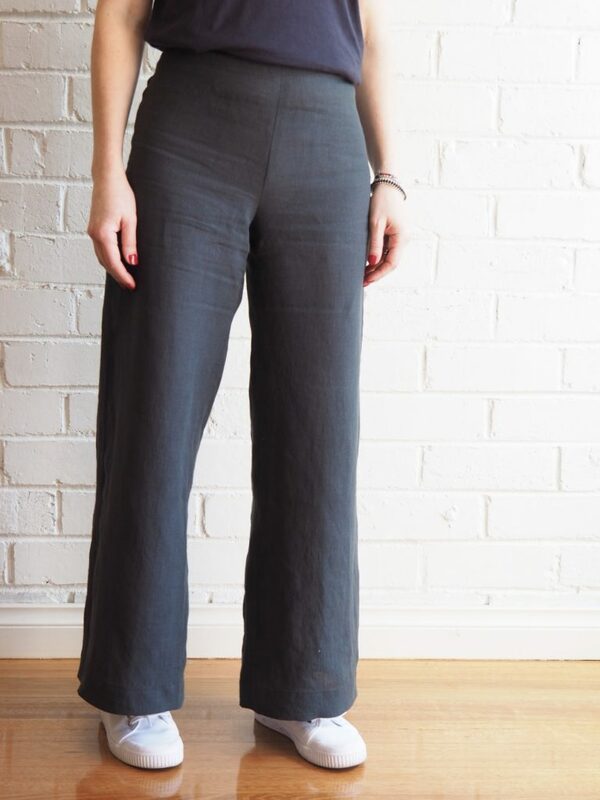 If you’re not a fan of an elastic waist, then these are definitely the pants for you! The topstitched waist facing gives a nice smooth finish and is attached to the side invisible zip with a neat little sewing tip, covered in our comprehensive instructions. Suitable fabrics for Chiara include non-stretch wovens such as medium-heavy weight linen, wool faille, wool crepe, polyester or viscose blend crepe, heavy drapey silks and medium weight denim. Chiara comes in (Australian) sizes 6-16 and is now available in both hardcopy and PDF copy shop/print-at-home version. And if you make them up, don’t forget to share your pics with on Instagram by using the #chiarapants and #tessutipatterns hashtag! They look lovely, just what I have been looking for – pity they don’t have larger sizes! Yes why not larger ??? I think it fits everyone ! One more size up would have been perfect! I totally agree with you Anne. Wish these pants as well as many other Tessuti patterns came in larger sizes. Very nice; especially with the top! Looks very like a Vogue pattern that I’ve had for years! I echo Anne’s comment above. Lovely but limited size range. I like the “no waistband” look. Are they designed to be high waisted, or do they sit at the natural waist? 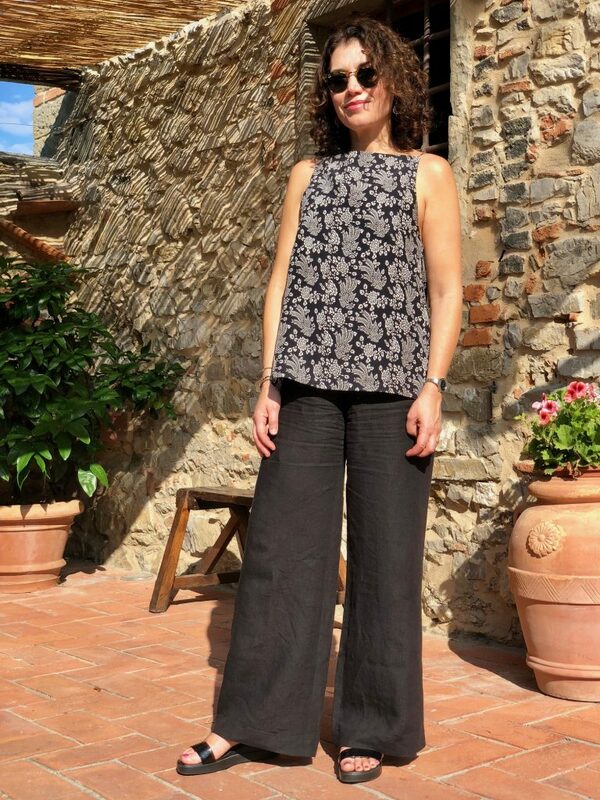 Also, as an editor, I couldn’t help noticing that although all your previous pants patterns were called “XYZ Pant” (singular) and this one is called “Chiara Pants” (plural). I approve! I hate it when people say “pant” instead of “pants”. It sounds so “morning television”. Would live a size 18. These look really appealing, but I’d sure like to see more rear views, and shots of the pants that are not carefully pressed and posed. Currently making up the pants pattern but would love to know what pattern your top is Colette. Fantastic pattern you guys!! I’ve just made my first of many. I’ve always like this style and they suit me so much better than tapered styles or skinny legs. thanks so much!! I love the look of these pants! I’m definitely going to have to try this pattern out! There is something nice and elegant about a faced/zipper waist instead of elastic.